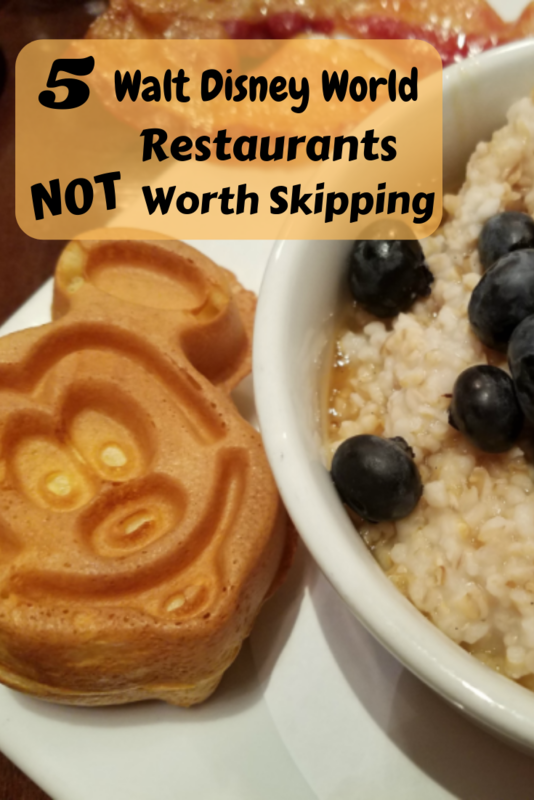 I recently published 5 Walt Disney World Restaurants Worth Skipping, so I thought it would be nice to share with my Disney fans my 5 Walt Disney World Restaurants Not Worth Skipping. Each time we plan our trips to Disney, one of the first things that our family sits down to plan is where we must eat. We love the food at Disney, not only because it is delicious but also because food creates memories and laughter. 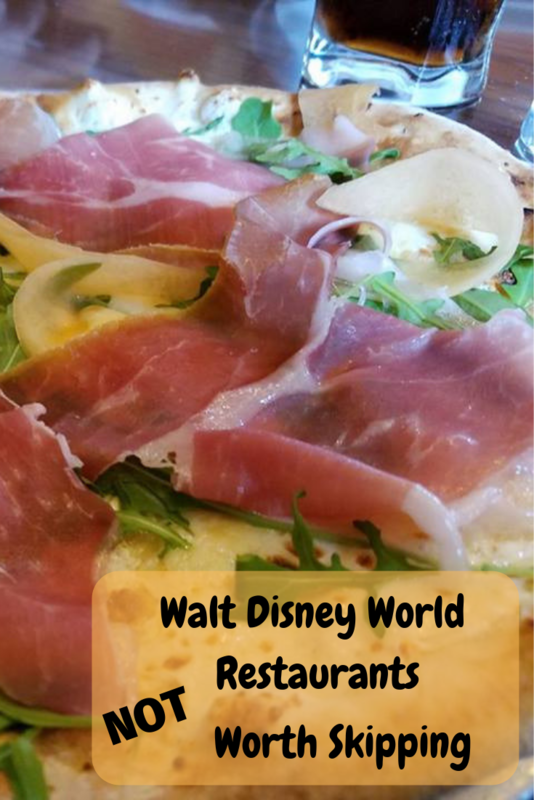 I think that Walt Disney World has some of the most amazing chefs, so I thought I would make a list of my 5 Walt Disney World Restaurants NOT Worth Skipping. The Hollywood Brown Derby: We were lucky enough to get to try The Hollywood Brown Derby because it was part of the Fantasmic! Dining Package. Every member of our party was silent during our meal because the food tasted so good. From the Cobb Salad to the Salmon, it was amazing and we will definitely be eating there again during our next trip. Via Napoli Ristorante e Pizzeria: This is not a high-end restaurant but it is still good and worth putting on your list. The pizza, the appetizers, the desserts are amazing. In addition, the open kitchen is eye catching. Victoria & Albert’s: This is a high-end Disney restaurant that does not disappoint in the food or the service. A few years ago we were at Disney on Christmas Eve, so we wanted to eat somewhere very nice so we decided to eat at Victoria & Albert’s. The service, the ambiance, and the food were perfect and made our Christmas Eve away from home memorable. Biergarten Restaurant: My husband and sons went to the Biergarten Restaurant while I stayed in the hotel and rested with my girls. When they got back to the hotel, I was a little jealous because they kept raving about the all you can eat German food and the ambiance. To this day, my husband continues to remind me how much I missed out on the amazing food from Biergarten, so I know that I will not be missing out on this again. Tutto Italia Ristorante: This is a higher end restaurant located in Epcot. It has an amazing selection of pasta, chicken, and salmon. The food melts in your mouth and kids are welcome, however, we did not bring our kids so it was much more enjoyable. 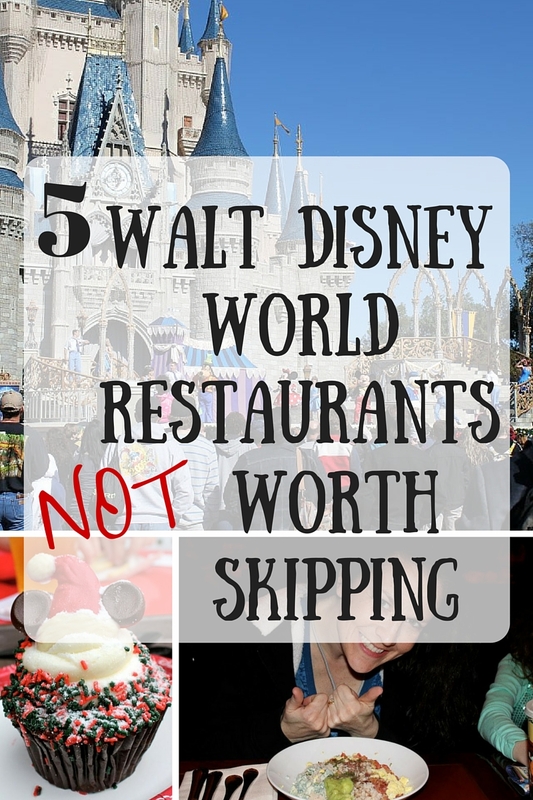 There are so many amazing eateries at Walt Disney World that it was very hard to pick only 5! I chose non-character dining restaurants and more of the higher end restaurants for those times that you want to dress up, enjoy a quieter atmosphere and get away from the hustle and bustle. What are your Walt Disney World Restaurants that you won’t skip when you are visiting? Check out more awesome Disney posts and please share: 5 Disney Inspired Themed Party Treats, Why Disney’s Art of Animation is NOT For Me, Disney Frozen Inspired Recipes, 5 Amazing WDW Character Dining Restaurants, What to Skip at WDW, 5 Must Do Attractions at Epcot, What Not to Buy at Walt Disney World, 5 Things I’ve Never Experienced At Walt Disney World, and more. The Brown Derby at Disney is one of my favorite restaurants, period. The Cobb salad, as you mentioned, is really good – and the creme brulee was out of this world.